​Time to Race: The Virtual Regatta is Now Live! Wish you could be out on the start line at Punta Del Este, Uruguay, for Race 2 to Cape Town, South Africa? Well, now you can, virtually, from the comfort of your own home. The Clipper Race has teamed up once again with the world’s leading and most experienced team of digital yacht racing game experts at Virtual Regatta. During the opening race from Liverpool, UK, to Punta Del Este, Virtual Regatta has been putting the finishing touches to a brand new virtual ocean racing platform to help give followers at home a taste of what it is like to race across oceans with the Clipper Race. 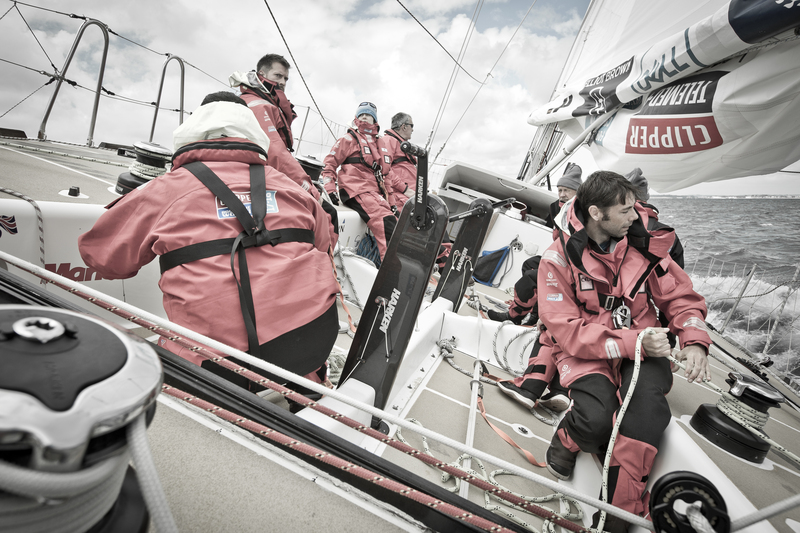 From anywhere in the world, you will be able to complete your own Clipper Race on your desktop, tablet, or smart phone. A completely revised interface to improve the clarity and ease of the game. The ability for ‘Skippers’ to customise their boat before sailing, depending on weather conditions. Every player will receive free credits at the beginning and end of each race, according to their ranking. A new card system delivering advanced navigation options to all. Players will receive free cards at the beginning and during the race. At the end of the race, unused cards will be converted into credits for the following races. Boats will advance in real time on the map and will be updated every minute. The introduction of speed estimates will allow players to choose their sails more easily. Virtual Regatta’s estimated time of passage will help develop schedules and waypoints. A more detailed map and greater depth of players’ racing information. Notifications of major race events. Greater frequency in ranking updates. A new VSR ranking providing greater equity. As always, the game is free to play, but there are options to make in game purchases, such as buying additional sails, to enhance the experience. All players will receive free tokens to try out these special extras. Virtual Regatta has also added ‘Guest Mode’ as a way for people to sample the official Clipper Race game before registering. The overall winner will be the person who earns the most points by the end of the thirteenth and final race from Derry Londonderry, Northern Ireland, to Liverpool, UK. The winner of the Virtual Regatta will be able to step into reality and try their hand at a week-long Level 1 Clipper Race Training Course (*see conditions) on the Solent on the UK South Coast. The winner of each individual race will also receive a Clipper Race gift bag. Virtual Regatta Founder and CEO Philippe Guigné says: “We are extremely excited by the latest version of Virtual Regatta which has lots of exciting new features. Start your virtual ocean challenge today. For all in-game queries and questions, please visit Virtual Regatta's Help Center. (*The Level 1 Clipper Race Training Course prize can only be completed by those aged 18 years or older, and the candidate must meet all medical and insurance requirements.